As a family business in Huddersfield we’re always happy to help and support local productions. Recently we were asked if we could provide one of our colourful picture coffins for Priscilla Queen of the Desert, a production taking place at Lawrence Batley Theatre this week by the Huddersfield Musical Theatre Company. 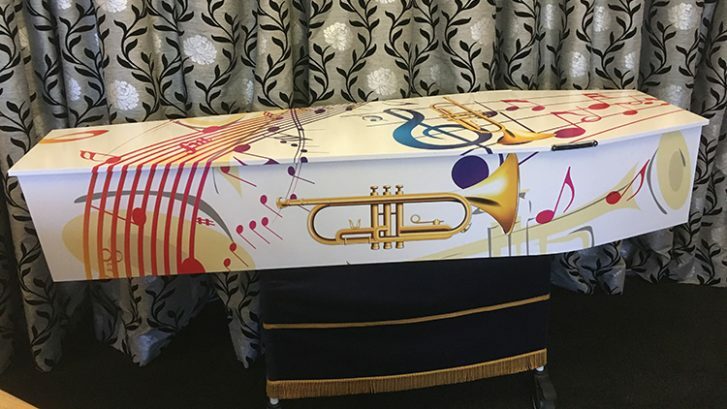 We had a Coffin specially designed with a musical theme which was delivered in style in our New Jaguar Hearse. Today we said a fond farewell to Karl Baxter, a much loved son of our friend and colleague David Baxter. 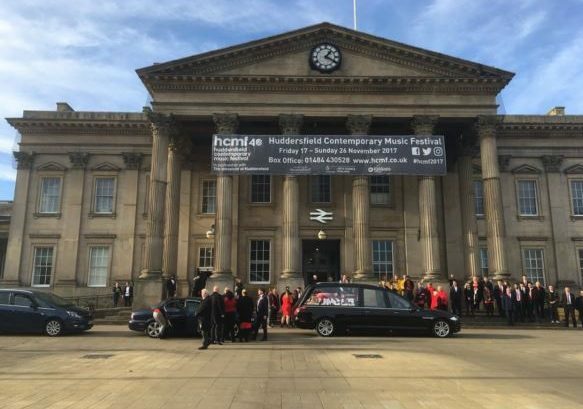 On Karl’s final journey to Huddersfield Crematorium the cortege paused outside his work place, Huddersfield Train Station, where friends and family had gathered to say goodbye.